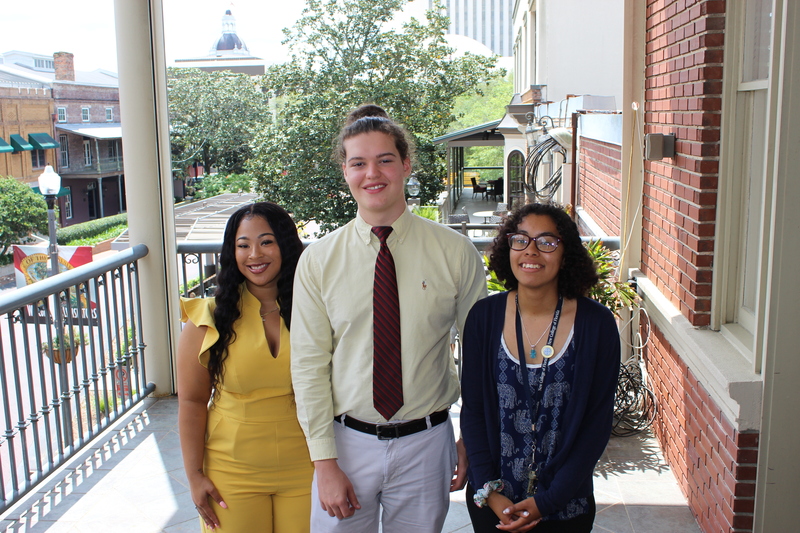 [Tallahassee] – The Florida Guardian ad Litem Foundation honored three teens on Wednesday for achieving success after spending time in foster care and beating tremendous odds. All 18 nominees have been represented by Guardian ad Litem volunteers around the state. To compete for the award, they wrote applications and essays, and this week the finalists traveled to Tallahassee to serve as messengers for the Legislature and accept their honors, which include scholarship money and laptop computers. The first-ever winner of the Triumph Award is Robert Hurley, the valedictorian of Boca Ciega High School in Gulfport. He has a 4.6 GPA, is active in clubs, plays and musicals, and is trying to decide whether to attend Yale or Stanford. He’s interested in science and math, and is leaning toward studying medicine. He also wants to give back by “telling kids they can make it” to motivate them and, perhaps, by adopting a child. The first runner-up is Jas Marie Prophet, a student at New College in Sarasota. She has a full scholarship and wants to be an oncologist, pharmacist or scientific researcher. This summer, she has a paid internship researching plant biology at Cornell University. As the first person in her family to attend college, Prophet pays attention to other first-gen students and has sparked a pen-pal arrangement to connect incoming freshmen with upperclassmen. The Guardian Trust Foundation and the Florida Blue Foundation are major supporters of this first annual award from the Guardian ad Litem Foundation. Guardian ad Litem Executive Director Alan Abramowitz, who spent time with the three finalists this week, praised their volunteer child advocates as well.